In today’s outdoor world, footwear is getting inundated with new and exciting brands. How can a simple boot become so valuable to investors and to users? Which boot should I buy? What is it about a boot that makes me want to spend my money on this one rather than that one? Diving into the world of buying a good hunting boot is a slippery slope to say the least. There are so many options, so many choices and styles to pick from. Getting an all-around boot today is almost impossible. Many hunting boot companies have different models for different occasions and finding just the right one can be challenging at best. 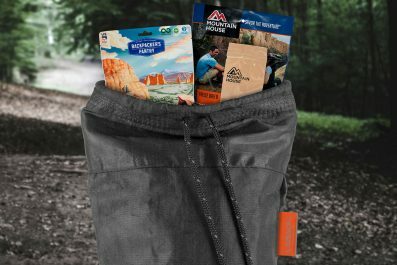 In today’s outdoor world, the planned activity can and does dictate which direction you go when looking for and eventually buying a pair of boots. Add to this the rising cost of good boots, and you are considering spending hundreds of dollars on a boot. Your research needs to be thorough to be beneficial. As someone who spends hundreds of days afield annually for both my job with the USDA and as a passionate outdoorsman, I have whittled through a lot of different boot brands, styles and shapes. Now, I have three (or so) boots including one set of knee-high rubber boots that are my “go-to” boots for different occasions. Using these as a guideline, let’s look at how you too can choose the best boot for your outdoor excursion. I have broken down my selections into three categories: general outdoor activities (which include hiking, scouting and just spending time outdoors), mid-season hunting, and late-season hunting. NOTE: My late season does not cover the bitter cold conditions many face, but an “all-purpose” late season boot. General outdoor boots, for me, have evolved over the years. I have gone from a low-top boot, to a full-length boot, and back to a low-top boot. I have found that a waterproof, low-top hiking boot is the best all-around boot for general outdoor activities. The Under Armour Speed Freak is, by some viewpoints, not a low top. It is more of a ¾ top boot, but one that is certainly worth looking at for general outdoor activities. 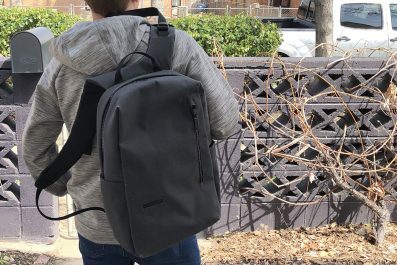 It is lightweight, waterproof and sturdy. This is not a boot you can lace up and head off on a ten-mile day. It does take some breaking in, and as with all boots, this needs to be done right and over time. The uninsulated version is perfect for summer scouting, hiking with the family or early-season archery. The ability for the boot to wick away moisture is important, and a built-in odor elimination system that is incorporated into the sock liner prevents bacteria from growing and causing odors. Another hunting boot to consider is the Under Armour Fat Tire™ with Gore-Tex®. This very lightweight boot is one of the best selling boots in the UA lineup. Weighing a mere 18 ounces, they feel like you are barefoot with cushion! 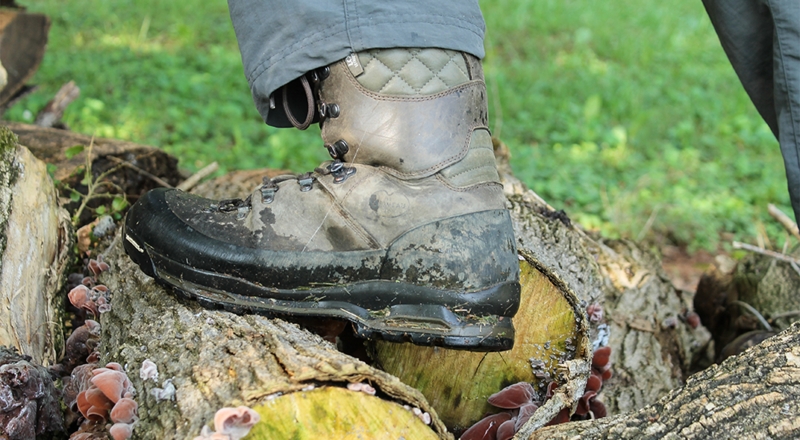 The Fat Tire by UA is a great boot for early-season hikes, scouting and hunting. The shape of the sole will feel awkward at first, but it only takes a few minutes to get used to the comfort and cushion. The general outdoor boot is one that will get more wear than any of the others in the lineup due to the multi-tasking you are asking of this boot. 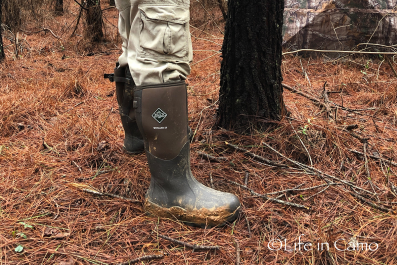 The post-season scouting, early summer field work and early archery season mean you need a boot that is durable and tough. Either of these from Under Armour will fit the bill and do so without breaking the bank. The next hunting boot in the lineup is a mid-season boot. For most, mid-season is a difficult time to buy for. You can be hunting in temperatures as high as the low 80’s down to the 30’s. Depending on elevation and geography, your mid-season boot must do a lot of things well. If you have spent any time afield, you have heard of the boot company LeChameau. Founded in France, the LeChameau brand has been hand making boots in France and Morocco since the 1920’s. It started out as a rubber boot company (more on that in a bit). The company now offers a full hiking/hunting boot called the Condor. The Condor is an ultra-lightweight Nubuck leather boot with some of the finest leather available. 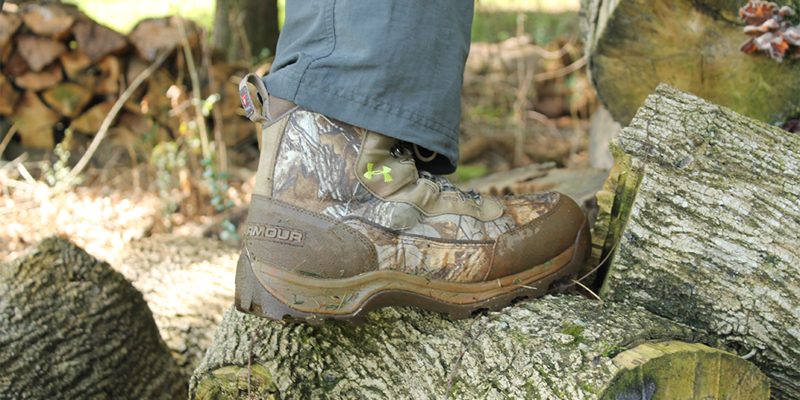 This boot has a multi-layer LeChameau LCX® Technology. This technology guarantees the boot to be waterproof and breathable. The full-grain leather is made with environmentally friendly Terracare®. The sole is deep forest green with Michelin Compound for superior durability, flexibility and traction. These boots are insulated and made for hunting, hiking and other activities down to 15 degrees Fahrenheit. Weighing in at a total of 4.6 pounds, these boots are the lightest full-size leather boots I have ever personally tested. The full speed lace is another plus. Removing all the speed lace makes getting a foot inside with full wool socks a breeze. Lacing the boot is quick and easy. Because of the quality of the leather, from the initial fitting the boots ‘feel’ like they are already broken in and ready for a hunt. Last year I received a pair of Condor to test and evaluate, I got them about three weeks before I left for Colorado on an elk hunt. I have to say the Condor performed above expectations, which is hard to believe. The boots fit perfectly to my size requested. And when I say, perfectly, I mean I have never had a pair of boots that fit as well as these do. Never. The leather is some of the finest I have seen in any quality boot. And the comfort is above par. I spent seven days in the Colorado Rockies chasing elk and hiking an average of eleven miles a day in the Condor. Temperatures were down to eleven degrees and as warm as 73 and never an issue. No hot spots, no blisters, no cold feet at all. The price of these boots is steep (MSRP $399), but after trying them, it is easy to see that, for many, these are a lifetime purchase. These boots will hold up for decades. Barring an accident that could damage any boot, I am confident I will never need another pair of boots. For mid-season hunts in the Rockies for elk or woodlot whitetails, or plodding across prairie for Antelope, the Condor is a boot that will get the job done. 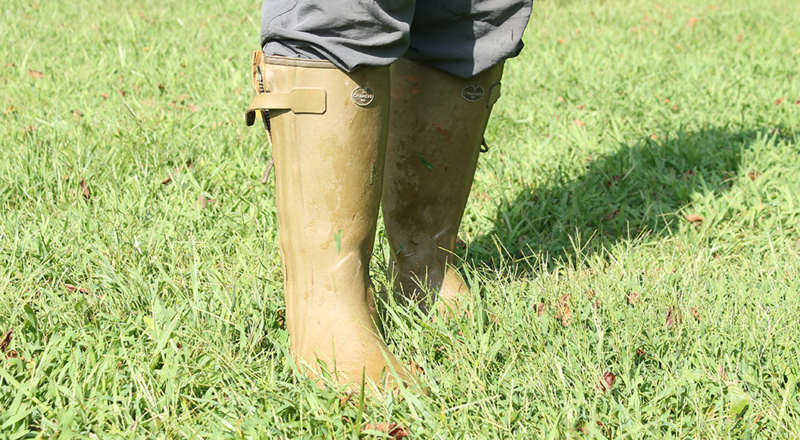 When it comes to rubber boots there are two companies: LeChameau® and Muck® Boots. All the rest are copies. In 1950, a real breakthrough emerged with LeChameau® boots. Long known as the maker of the finest rubber boots in Europe, Mr. Chamot merged his rubber technology and craftsmanship with that of the saddler and fashioned the Saint Hubert – the first rubber boot with a leather lining. This boot quickly became the standard by which all other boots were measured. LeChameau® makes the finest handmade, leather-lined rubber boots in the world, and they are priced accordingly. MSRP is $489 for the Chasseur™, a large investment for sure. After having worn them almost daily for over six months, I have to say the Chasseur™ is in a class by itself. Created with the hunter in mind, the Chasseur™ was the first rubber boot to have a full-length, waterproof zipper. It even comes available with eight different calf sizes for an almost perfect fit. The Chasseur comes with Kevlar reinforcement on the front of the boot to protect against wear, premium leather lining and leather insoles. Each Chasseur boot is made by hand by a master boot maker after a long and rigorous apprenticeship. Each boot is unique due to the handmade qualities. In addition to the high quality, Mr. Chamot believes in premium customer service and offers a full 2-year guarantee for all his boots. If LeChameau® is too much of an investment for you, perhaps the finest mass-produced boots on the market today are Muck Boots (MSRP: $99-$199). Muck are some of the most comfortable and durable boots available. Available in a wide array of styles for virtually all activities they could think of, there is a Muck® boot for you! Whether you want full camouflage, solid colors or a combination, Muck® has it for you. One of the key features of Muck® that I personally like is the ease with which I can roll them down when I don’t need full leg protection, and the weather is warm. Being able to roll them down is a great benefit. The last models we’ll cover are the late-season boots. For me personally, I do not have the chance to hunt in temperatures much below the mid 20’s, so my look is at a boot with no more than 800 grams of insulation. For my money, this leads me to the Under Armour® Brow Tine™. The Brow Tine is an 8” boot and built for rugged, tough hunting. Whether you are stalking high alpine or sitting in a strand, the Brow Tine will get it done for you. Made with the same quality standards that makes UA one of the top brands in the industry, the Brow Tine can get you into and out of the backcountry with ease. MSRP for the Brow Tine is $209, which is right in line for the quality you are getting. 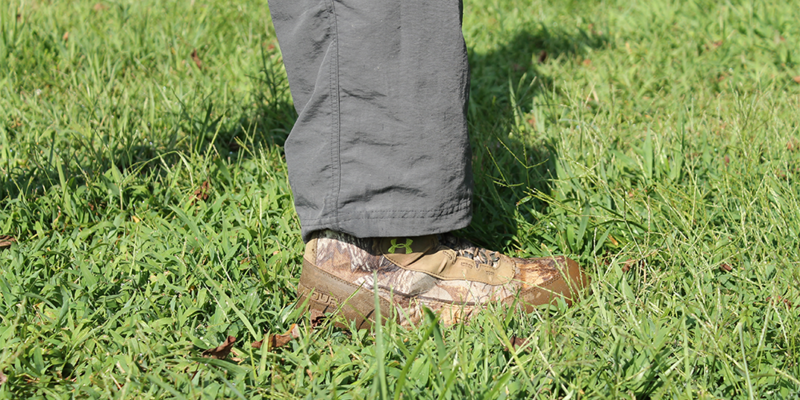 This is a hunting boot that will last a decade or more in the field. Like most late-season boots, these tend to get the least action due to the short season, and the conditions just aren’t as inviting as other times of the year. Selecting a high-quality outdoor and hunting boot is a strong consideration since outdoorsmen know that taking care of your feet is one of the most important parts of being afield. As someone once said: “I am too poor to be cheap.” When it comes to buying good footwear for the field, don’t be cheap. Get the best hunting boot you can, and they may just last you a lifetime.